Congrats Robert, and everyone who is contributing to this important project. 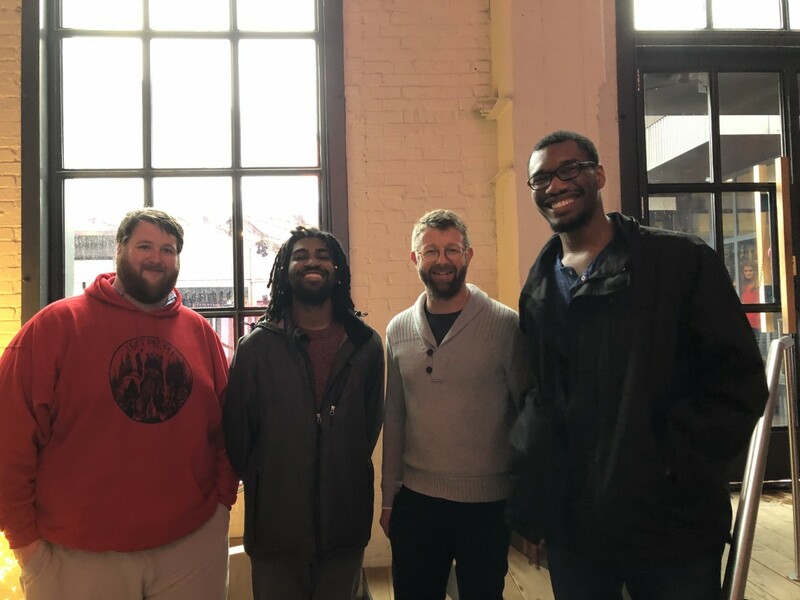 We’re excited that Michael, Quincey and David have decided to join the group to pursue their PhD research. Welcome! Taylor’s work on creating complex allylic ethers through oxidative C-H, O-H coupling is online at Angew. Chem. Int. Ed. – Congrats Taylor! Amaan and Danny’s manuscript “MODEL STUDIES FOR THE TOTAL SYNTHESIS OF 11-DEMETHOXYMYRTOIDINE AND MYRTOIDINE” was accepted for publication in the special issue of Heterocycles honoring Professor Tohru Fukuyama on the occasion of his 70th birthday. Thank you Prof. Fukuyama for all your creative and inspirational contributions to chemistry. We’re honored to be invited to contribute to this special issue. We’re loving our new group shirts, and looking forward to the new academic year. Lots of exciting new research in the pipeline too! Congrats on the New Job Qinqin! Qinqin has accepted a position as an Associate Professor in the Beijing Advanced Innovation Center for Soft Matter Science and Engineering at he Beijing University of Chemical Technology, and will leave the group at the end of the month. Congrats Qinqin – you’ve taught us so much about materials science, and its been a pleasure working with you. We will miss you! Amaan and Taylor each submitted their first manuscript this week (check out our publication page for a sneak peak at the graphical abstracts), and Robert’s allylic substitution mechanism manuscript is on its way… Congrats team on making the most of summer summer summertime! Congrats on your new job Robert! Robert is settling into his new position as an Assistant Professor at the College of Wooster – he’s only been gone a couple of weeks but we miss him already!